Download the RNMV technical catelog in PDF. 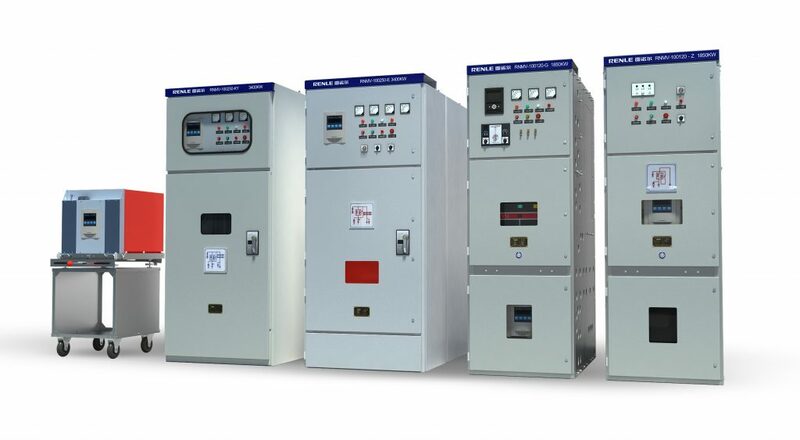 The RNMV high-voltage solid soft starter cabinet is widely used for squirrel cage AC motors in the industries such as the power system, machinery manufacturing, cement production, metallurgy, mining industry, oil extraction, chemicals, and water treatment. It is designed for soft start, protection, control and soft stop of three-phase 3KV - 10KV medium-high voltage motors. A complete RNMV incudes control transformer, control module, silicon controlled module, motor protecting module and bypass vacuum contactor. The soft starting parts include: control module, control transformer, silicon controlled module, and high-voltage vacuum bypass contactor.